Delamanid exhibited greater in vitro potency than pretomanid against multidrug-resistant (MDR-) and extensively drug-resistant tuberculosis (XDR-TB) isolates. The pretomanid minimum inhibitory concentration (MIC) values of four MDR-TB isolates were found to be resistant to delamanid ranging from 0.031 to 0.063 mg/L. 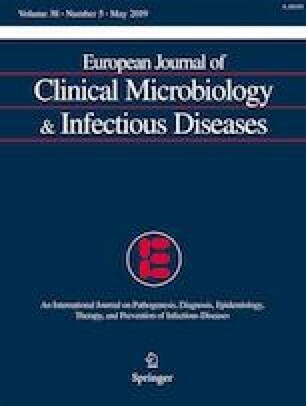 A novel nonsynonymous mutation within the fbiA gene (Glu249Lys) may be contributing to high-level resistance to delamanid and pretomanid in Mycobacterium tuberculosis. Shu’an Wen, Wei Jing and Tingting Zhang contributed equally to this work. We thank the staff from the National Clinical Laboratory on Tuberculosis for their technical assistance. SW, WJ, NC, YP, and HH designed this study. SW, WJ, TZ, ZZ, and YX performed the experiments. SW, WJ, YS, FW, and YP interpreted the data. SW, TZ, NC, YP, and HH wrote the manuscript. All authors approved the final version of the paper. This study was supported by the Beijing Talents Foundation (2017000021223ZK39), the Beijing Municipal Administration of Hospitals’ Youth Programme (QML20171601), the Beijing Municipal Administration of Hospitals’ Ascent Plan (DFL20151501 and DFL20181602), and the Beijing Municipal Administration of Hospitals Clinical Medicine Development of Special Funding Support (ZYLX201809).